There are 242 posts in this topic. You are on page 1 of 5. I know there is already a great Yahoo! group for BPA. But, I thought for those of us who use pinside, we could start a Massachusetts thread. This will be a thread to meet, help and spread news to other Massachusetts pinsiders. I look forward to hearing from those I don't know already! Great, I'm game. Although I live over the border now, I'm a true Masshole and am there frequently. How about some Western MA pinsiders. 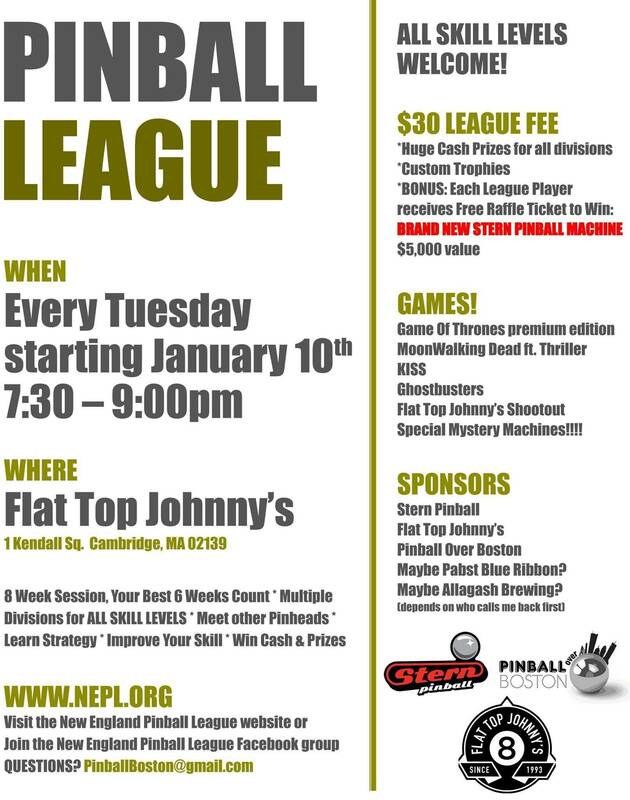 I feel like I'm the only Massachusetts guy west of Springfield who cares about pinball. Hey Massholes! Looking forward to meeting all of you. If you're ever in or near Cambridge let me know. I've got some machines in a pool hall in Cambridge, Flat Top Johnny's. GoT Premium, Metallica, and a third machine that will be rotated in frequently. First beer and game is on me! I'm here. 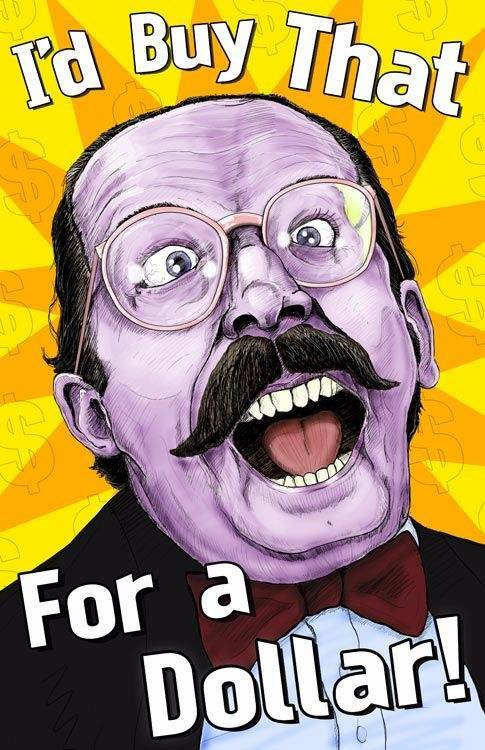 Let's go some game trading. If you're ever in or near Cambridge let me know. I've got some machines in a pool hall in Cambridge, Flat Top Johnny's. GoT Premium, Metallica, and a third machine that will be rotated in frequently. First beer and game is on me! Nice! I've been wanting to try GoT Premium but haven't found a local place to play. 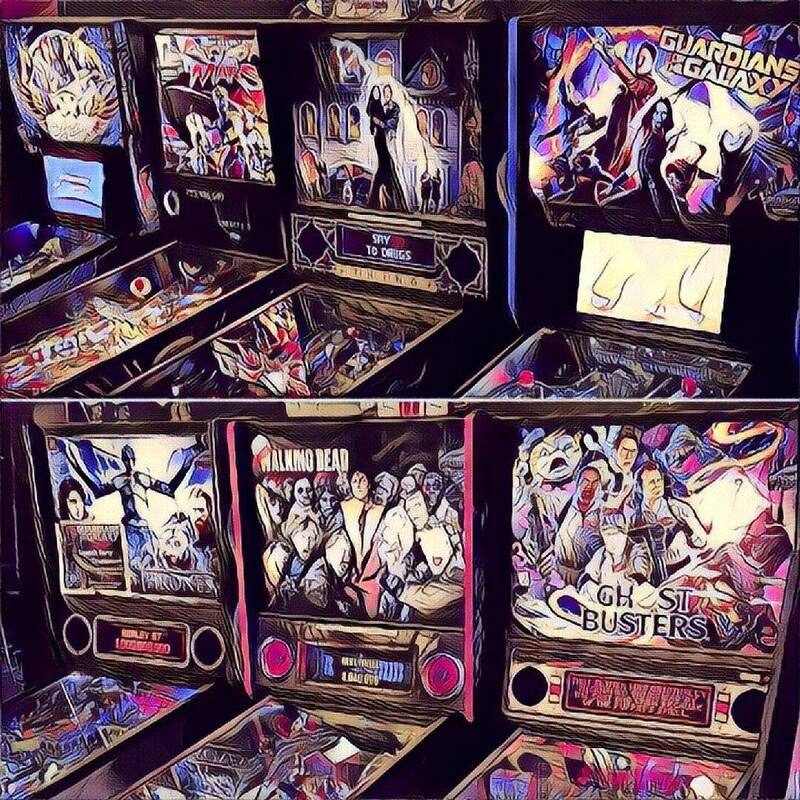 Pinball Wizard Arcade is supposed to get it, but I'm not sure if they have yet. How do you like it? Lol, well I'm a girl and I live in CT, but I spend most of my time halfway between Hartford and Springfield. Until recently, I couldn't even find pinball anywhere nearby! I need more pins to play. Only own a couple. Topcard: Is that Peter from West Pittsfield? The guy who used to play PB at the Big N? I looked at this thread since I used to live in MA long ago. We just started a summer league on Tuesday nights. There's still time to sign up next week if you missed last night. 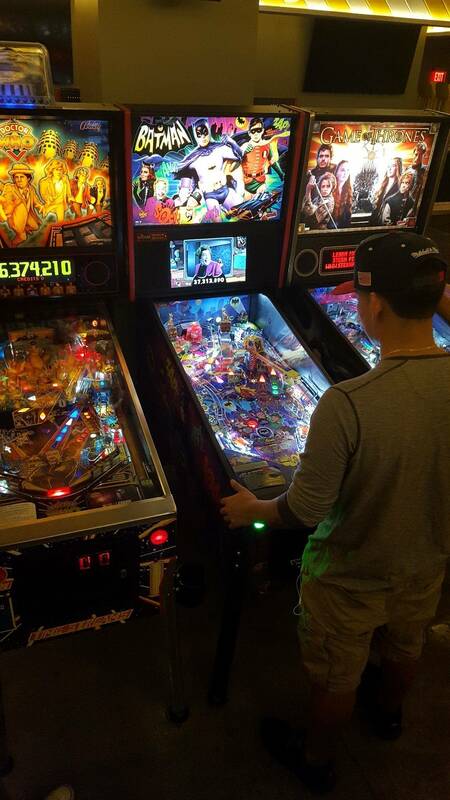 We also have a monthly tournament the second to last Friday of every month. 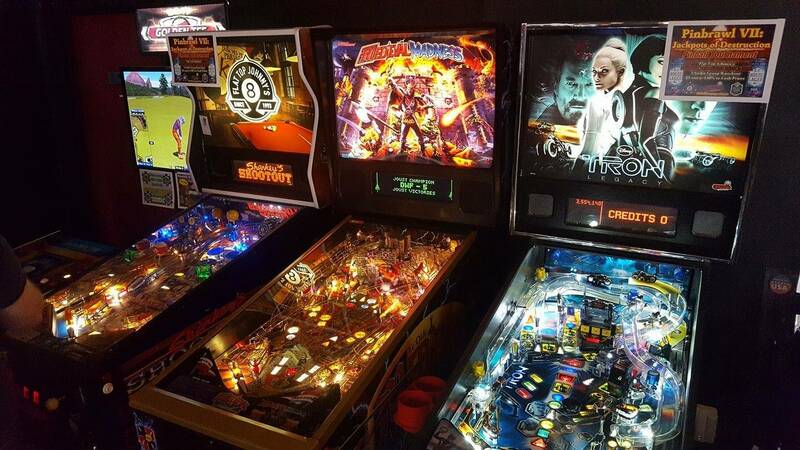 The new Ghostbusters is set up and waiting for you if you haven't tried it yet. Great club idea - count me in! Count me in. I'm a BPAer as probably most of the folks here are, but it's always good to be part of other groups. Many of these fine folks in MA and NH and CT and RI have generously allowed me to have playdates at their fine home arcades and have taught me so much about the game. Well, I am in, I have had several BPA members and Pinside members come over and play, have 10 games set up, and I am home almost all the time. I am really enjoying GoT Premium. 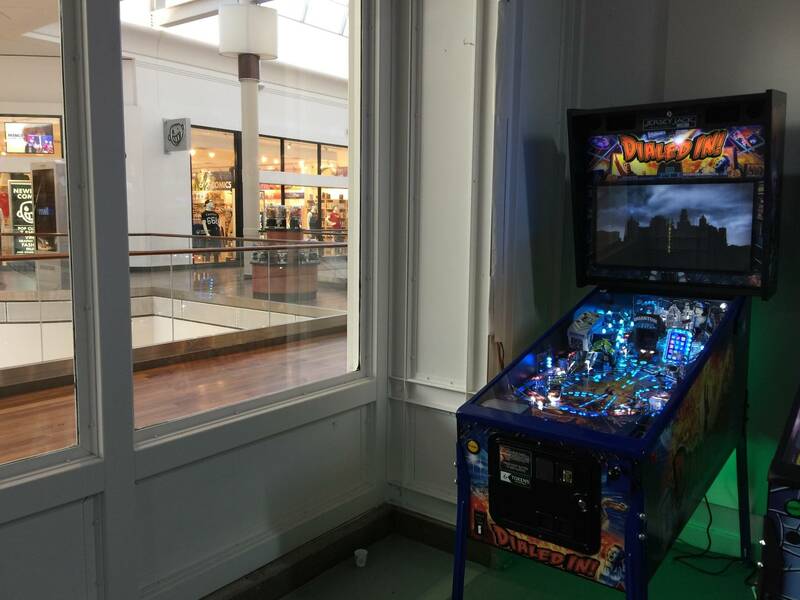 The machine is dialed in and once you get it rocking, you can really blow it up with mode/multiball stacks combined with playfield and shot multipliers. Nothing beats nailing a shot at the perfect time and being rewarded hundreds of millions of points. 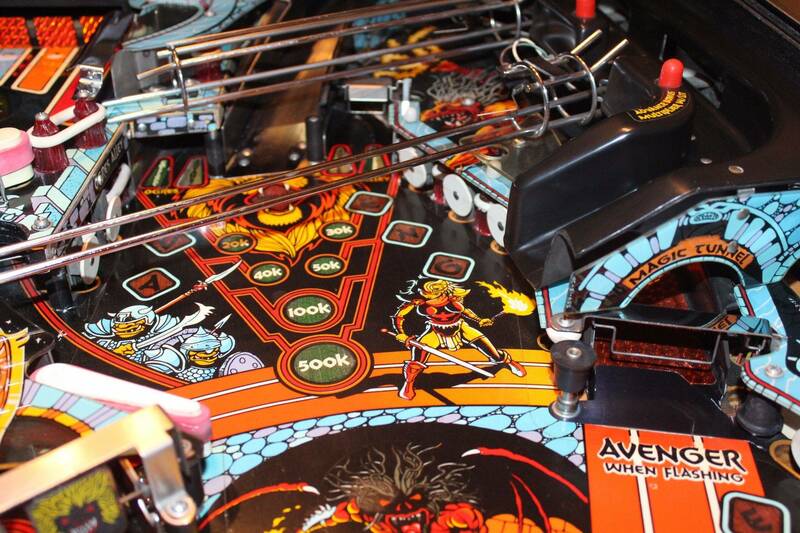 The upper playfield is also a nice feature. 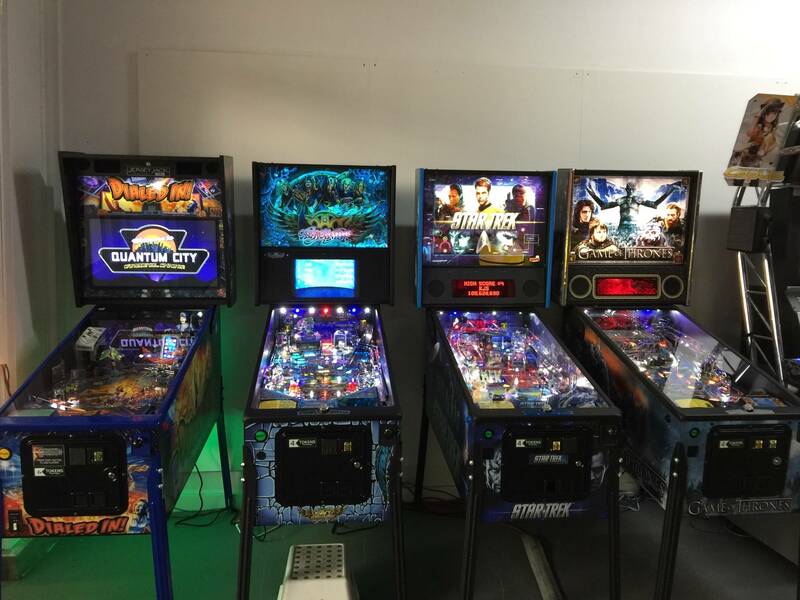 Great scoring opportunities and an additional multiball. The upper pf is a huge benefit during the modes as you can add time, increase value, and collect castles. I will admit there is a slight learning curve to figure out how to really do well in this game (like AC/DC), but once you get it, hot damn, this machine takes you on quite a ride. I've watched some novices play it get a big kick out of the wild light show during BlackWater Multiball and Winter Is Coming strobe mode. 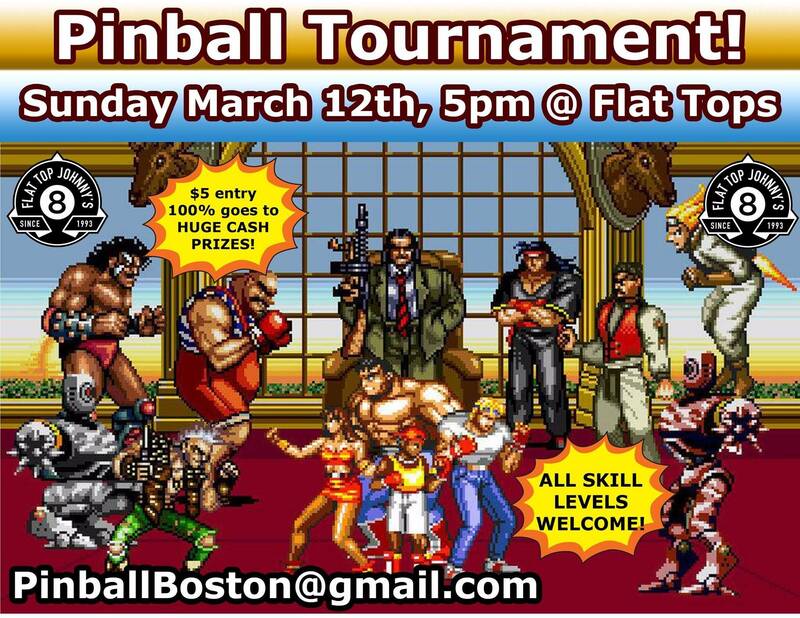 When I go to MA, I head directly to Flat Top Johnnys in Cambridge to play the awesome pinball machines there. Hi guys, former Masshole here who would like to be an honarary Easter and Christmas member. My wife and i spend both of those holidays in Wakefield. 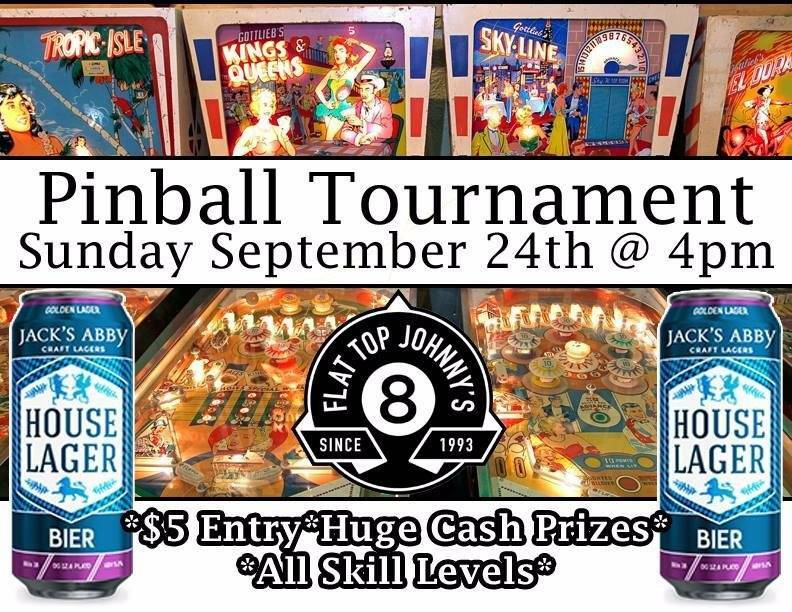 Every year i need an escape from the family, and pinball (and alcohol) is my escape. Never have found any good spots in Wakefield, but make the journey to Pelham often. 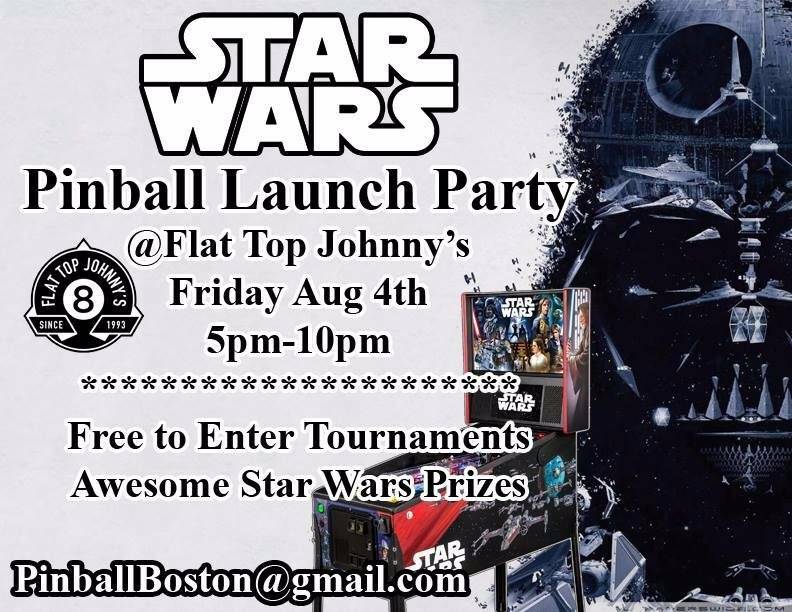 Used to live in Inman Sq in Cambridge, so will make the trek to Flat Top Johnny's next time i am there! It's me all right. I loved the Big N. It's where i got my start playing pinball. In fact when I started collecting games the first thing I did was buy a Big Hit, Target Pool, Sky Jump, and Nip it. All the games that I played at the Big N.
Topcard: I emailed with you a few times back in 2013 when I was looking for a JO and you had one for sale. Ultimately, I found a nice one much closer to me. I live in MD now, but grew up in East Pittsfield and Dalton. Did you ever manage to rescue that machine out of Ken's Bowl that was just on display? 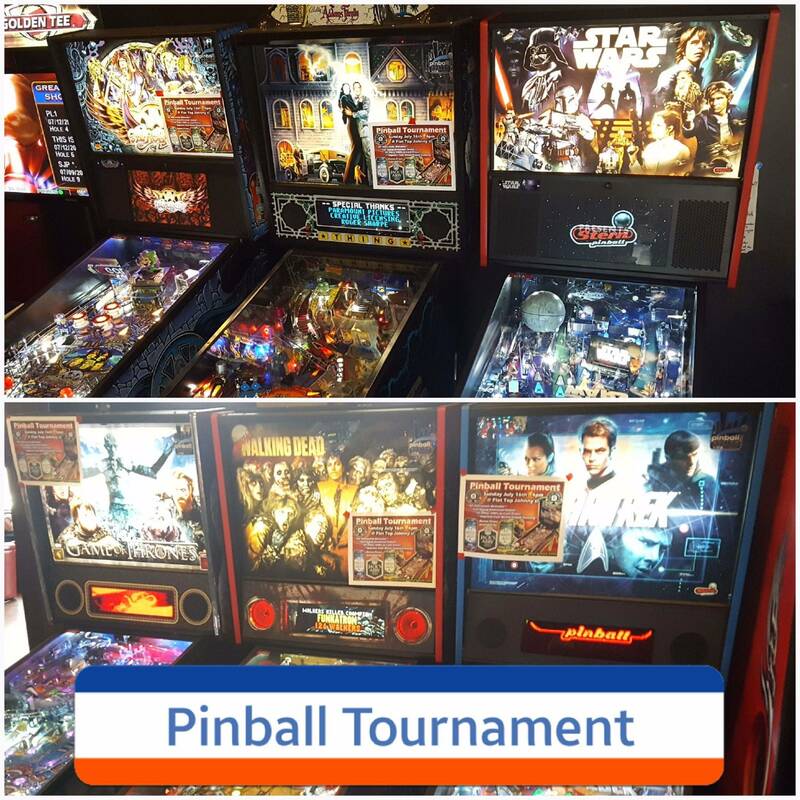 Pintastic is present! See you all in July. 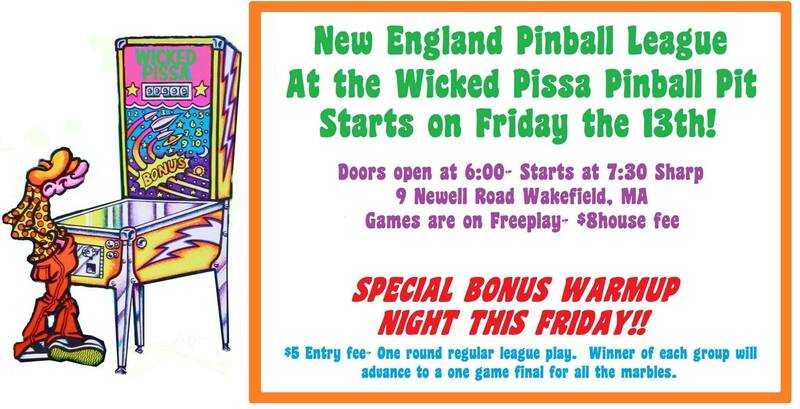 Need to become friends with me webstah and his wicked pissa pinball pit in Wakefield 8). Great guy and great pins. Lol, I was there on Friday for the GB launch party. Hi Mike. I've been thinking I might want to try a tournament one of these days. Tuesday nights are bad for me, but coming up on a Friday every once in a while might work. I've never done a tournament. For the uninitiated, how do yours run? Do you have to sign up in advance? How long are they? Etc. Thanks! Lee, I thought that might be you. I was looking for a C37 at the time which I finally found. In fact I'll be repainting the cabinet next week. 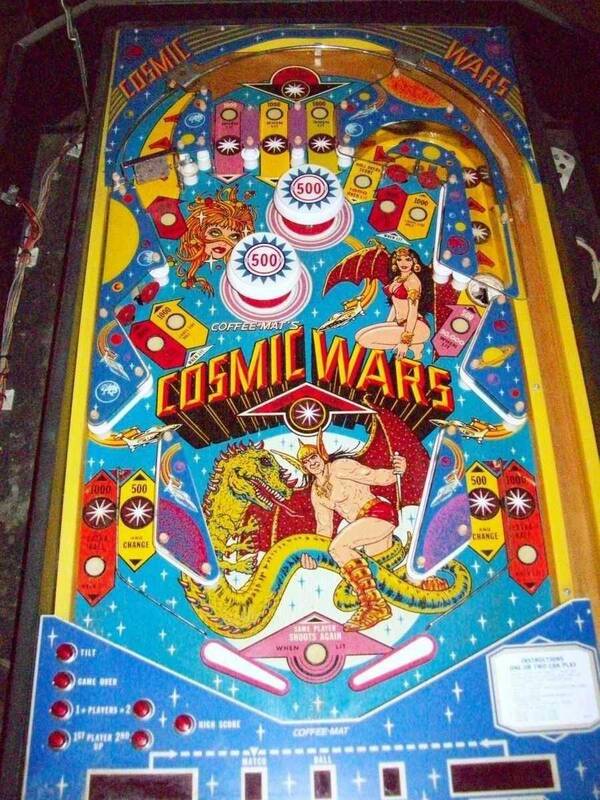 I offered to buy the game at Ken's bowl, It's an old Flipper Clown, but they weren't interested. They just like the look of it sitting there. It needs a lot of work to be operational. If I had more time I would do it for them just for the fun of it, but I've just got too much going on. If you ever make it back this way drop me a line. I keep about twenty machines set up at all times and you'd be welcome to check them out. So whose been gobbling up all the good cl grabs! Em night rider in RI? I know most of these good guys...always eager to meet new-good guy, local Pinsiders. I'm Eric, reside in Peabody MA....and my collection is admittedly in a state of flux right now...but I will be hosting a social before June ends. If you want an invite when I do host, send me a PM. Pretty pooch that will be missed. Have fun in Allentown-- to those fortunate enough to be going. No, just show up. We use the Pingolf format. Each machine is assigned a target score. Every player plays each game once. You attempt to achieve the score with the fewest balls possible and lowest score wins. 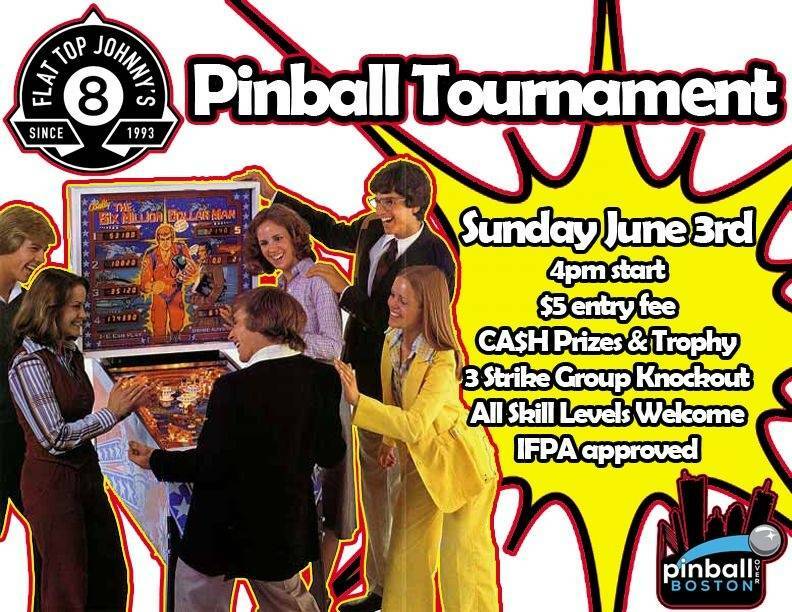 $5 entry fee goes into the prize pool plus coin drop for the games. It starts at 7:00 and usually runs two hours or so. Thanks Mike. I'll check it out sometime. I work in MA ...does that count? 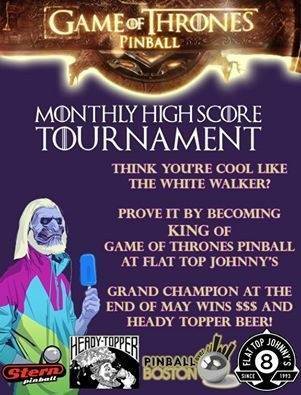 Hosting a tourney May 21st for WPPR points! In....also anyone hear about the barcade opening in Salem? People still use Yahoo which gets hacked all the time and not Facebook which is vastly better and more secure? Interesting! I am selling a few sheets of standard size tempered playfield glass which are very close to perfect but have a fingernail size scratch to keep each from being 100%. Most would have a hard time finding the imperfection(s) on most of them (most sheets near the top or bottom) and especially when installed in a game. Most of these sheets look so nice they would be assumed new. These sheets are from a bunch of glass I picked up from a Jersey Jack re-seller this past weekend. They are pulls from display games that were getting invisiglass upgrades. Just over the border in NH, but I'm in. Looking forward to a trip down to Cambridge soon to give GB a try! 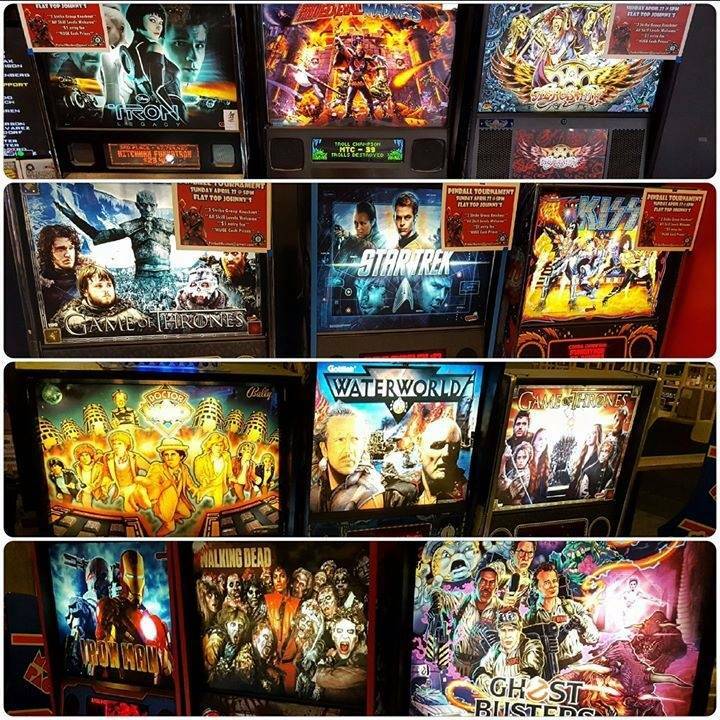 Gabe (the Pintastic NEmeister) has had a GOT Premium installed at the Games Underground arcade at the Natick Mall for several months. He also has a MET Premium (or maybe an LE? I don't know the difference) and a Jurassic Park there. I alone probably account for at least 25% of the income the GOT Premium generates every week. But no more, since I'm getting a GOTP as my one and only pin.